In today’s digital age just about anything can be framed however, many people are under the impression that framing is an arduous task and requires professional help at every step of the way. While it is true that professional help should be taken, when looking to frame a costly artwork or heirloom, but getting professionals to frame your every artwork can soon become cumbersome and costly task. There are many mold designs and shapes available. Choosing the correct width is important. Molding size is normally chosen relative to the frame, and can differ, if frame design changes. A too wide molding can distract attention from the artwork and too thin a molding can provide a week support to the frame and can fall under heavy load. Thin size: Thin size mold is no more than half an inch and is best suited for frames which are not any larger than 14in x 16in. Large Sized Molding: These molding are above 3” or thicker and can hold frames larger than than 22” x 24”. So based on frame size you can order appropriate mold online. Users are spoilt for color choices. Colors range from monochromes to vibrant color. 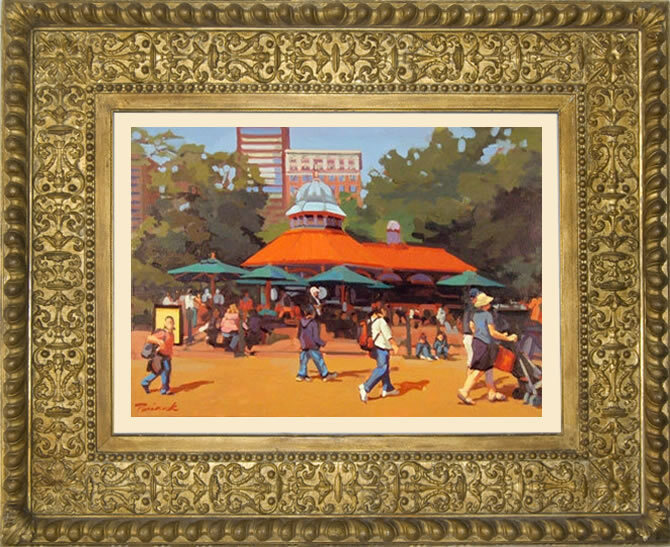 While choosing color for frame, it should be kept in mind that the frame color should not dominate the artwork. Browns and black are normally safe color for a frame. But based on the Theme of the artwork and environment the right color should be chosen. The place where the frame is going to be hung directly dictates the frame color so as to compliment the other items in the room. So choose a color which compliments the artwork and surrounding and if in doubt go for monochrome color. Matting not only provides aesthetic look and feel to the frame but has functional use as well. It provides spacing between the art and glass. This is important as it prevents color peeling overtime and also helps in reducing humidity inside the frame. There is no dearth of choice in Mat boards these days. They come in various textures and colors, and you should always consult a professional while picking out these mats. As a rule of thumb, when in doubt, go for a thicker border. Choosing a thin mat is the most common mistakes made while custom picture framing. A good quality Mat above 1” should do the trick. So by keeping these 3 tips in mind you can assure yourself that you choose the right looking frame for your picture, which complements and accentuates your artwork beauty and also at the best price.